Today, Universal Health Care Foundation of Connecticut and the Connecticut Citizen Action Group are jointly releasing the Connecticut 2014 Women’s Health Report Card, produced by an Alliance for a Just Society, who also produced report cards for the entire nation and individually for states. I think a moment to celebrate Connecticut’s progress in women’s health is warranted. Connecticut ranked 5th in the country in health coverage for women, 4th in women’s access to health care and 3rd in women’s health outcomes, for an overall ranking of 2nd in the country, garnering an A grading. While we should be proud, it’s important we keep that standing, and push for #1 in the country across all these measures. Our most troubling data, though, comes when we look deeper at outcomes on the race / ethnicity level. It is here where we should focus our efforts as a state–despite our high grade, we still have underlying health equity concerns. For example, Latina women in Connecticut are twice as likely to be uninsured than women overall, and the infant mortality rate is twice as high for children born to black women than children born to women overall. The report card is a valuable tool as a snapshot in time, but also in its promise to look at specific outcomes as changes in the health care system cause shifts. Data is invaluable in this way, despite its, at times, unwieldy nature to collect and analyze. It is important for us to know not only how we measure up on general health care outcomes, but specifically how much impact we are making in particular populations–such as women, youth, and communities of color. So, let’s celebrate Connecticut’s successes, but let us also remember there is still work to do, both within the state and across the country. Click for The Promise of Quality, Affordable Health Care for Women: Are States Delivering? 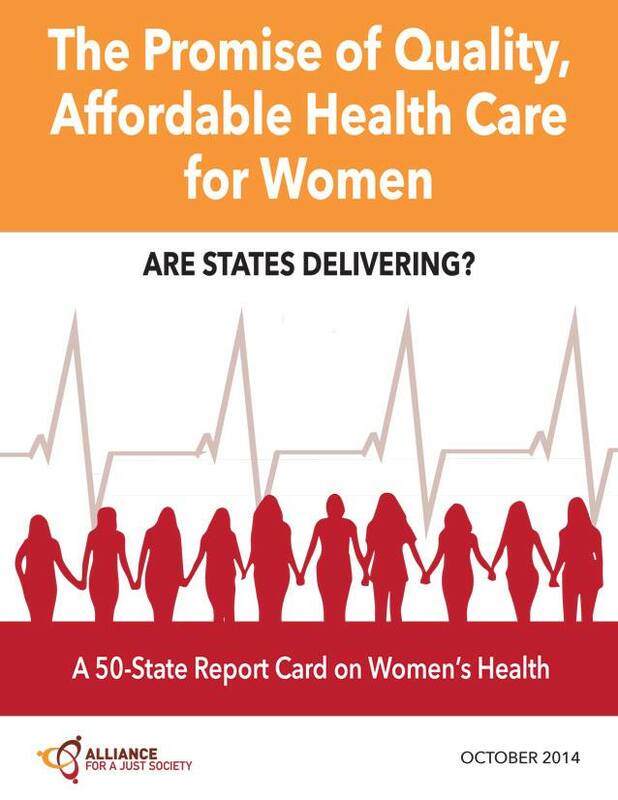 (A 50-State Report Card on Women’s Health) from Alliance for a Just Society.